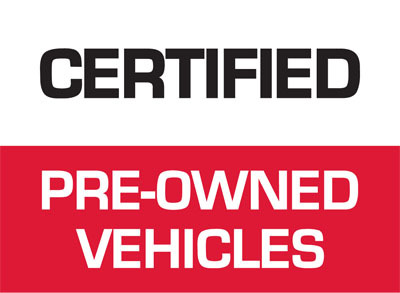 Our Certified Pre-Owned Vehicles (Red & White) Car Flags are divided into two sections, with the word "Certified" emblazoned in black text upon the upper white section, and the words "Pre-Owned" printed in bold white letters upon the lower red section. 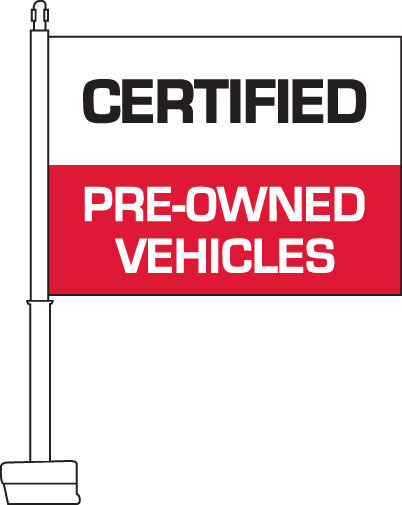 This flag is ideal for car dealerships who want to highlight a specific vehicle or an entire lot of certified pre-owned vehicles. 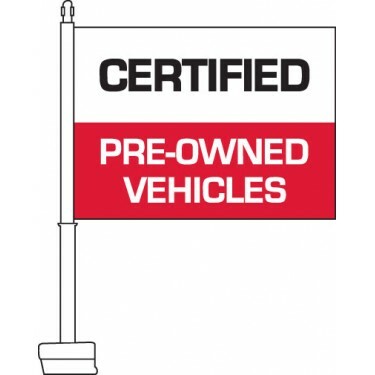 If your dealership offers certified pre-owned cars, then this eye-catching car flag is the perfect one for you. Our 11 inch x 15 inch car window flags are made from durable 110gsm knitted polyester material. The edges are double sewn and the flag is finished with a sturdy polyester sleeve. Our clip-on window flags include a durable injection molded polypropylene staff which measures 20 inches tall. Simply slide the plastic window clip over an open car window and then close the window to complete the installation.